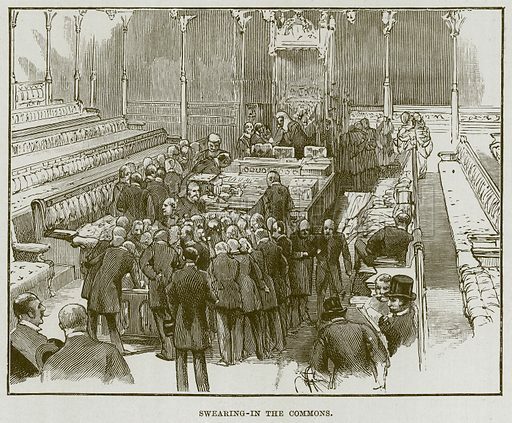 Swearing-in the Commons. Illustration for The Life and Times of The Marquis of Salisbury by S H Jeyes (Virtue, c 1895). Available worldwide for immediate download up to 4,401 x 3,636 pixels.